Stop by the “to-go” window at Nicky’s Clam Bar next to the Fire Island Ferry Terminal and grab an iced coffee and crumb cake to enjoy on the ride over to Fair Harbor. Once you're on the Ferry, be sure to sit up top on the top sundeck floor of the boat to enjoy stunning views, and soak up the fresh air and warm morning sun! Once you’ve arrived on the island, stop by the Pioneer Market, a short 30 second walk from the ferry. Fill a cooler with ice, pack drinks and snacks and order homemade sandwiches to bring with you to the beach. Also be sure to stop by Unfriendly's Ice Cream Shop next door to grab a scoop of homemade ice cream (click here to see our favorite flavors). Panicked and realized you forgot a suit? No worries head over to Corliss for a selection of our FH gear!  The beach is Fair Harbor's main attraction, so be sure to get there as soon as possible. Pack umbrellas, plenty of beach towels and lounge chairs, as well as spike ball, a deck of cards and a frisbee to keep everyone entertained. You’ll also want to be sure to pack your Fair Harbor swimwear so you can enjoy the beautiful ocean, swim laps, wade in the waves or even try your hand at surfing. After a day full of sun, surf and relaxation, head over to Surf’s Out Restaurant and Bar for a casual meal at a lively spot featuring live bands and performers in the outdoor courtyard. Their menu hosts a variety of foods from fresh caught seafood to sushi and italian. Feel free to come sandy and straight from the beach to enjoy an evening of good music, delicious food and great company. If you just want to hang in Fair Harbor for the night, and watch the sunset over the bay, Le Dock is a perfect option. The menu was created by chef Jean George and features seafood, casual fare and a great wine list. Definitely try and eat outside. After dinner, for those over 21 looking to keep the fun going, Fire Island offers a variety of fun bars to drink, dance and listen to music with friends. Matthew’s Seafood House is one of our favorites. Its cozy atmosphere and location on the beach paired with its delicious cocktail list makes it a great place to unwind and relax after a day full of...relaxing. Thursday nights are Margarita Madness at Matthews where crowds of people enjoy fishbowl sized margaritas. Houser’s Hotel Bar is another great place to grab a drink and hang with friends. Houser’s was established in 1921, making it the longest running hotel on Fire Island. The bar boasts its regularly scheduled live music and performances as well as delicious bar snacks for the late night munchies, well deserved after a long day of surfing, swimming and playing on the beach.